GPU or Graphics Processing Unit is the heart of Graphics Card. It is the main unit or component of graphics card as it does all the graphics processing that involves lot of complex operations. Almost all the graphics cards come with a single GPU but there are few graphics cards that have dual GPUs present on their PCBs. These are known as dual-GPU graphics cards because of the presence of two graphics processors or GPU on a single graphics card. 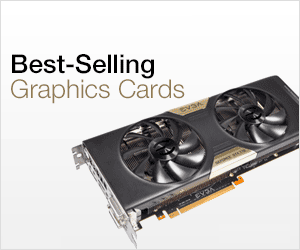 You can think of dual graphics card to that of two similar graphics cards in SLI or Crossfire setup on a single PCB. Dual GPU Graphics Cards do have some performance advantage but it is limited to some games and applications. This is because not all games are optimized for dual GPUs and in some games performance may take a hit compared to single GPU graphics cards. 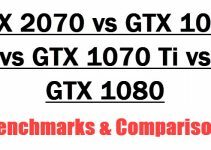 There are not many dual graphics cards at present or in the history because they are very expensive and they do not offer better performance always. Here in this post I am going to list down the top dual GPU graphics cards from Nvidia and AMD for gaming enthusiasts. 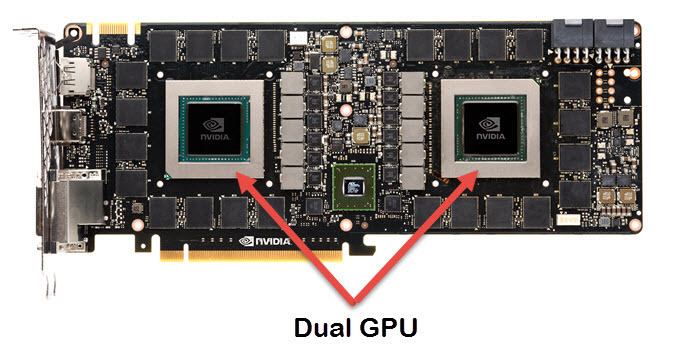 Here are the top dual GPU graphics cards from Nvidia. GeForce GTX 590 is an older 500 series graphics card having dual GPUs. Nvidia’s 500 series is outdated because after this there is 600, 700, 900 and 10 series line of graphics cards. GTX 590 is a DirectX 11 graphics card that is based on the older Fermi GPU architecture from Nvidia. It has only 3GB video memory which is considerably less compared to present standards of high-end graphics cards. This dual GPU video card comes with 1024 CUDA Cores and supports technologies like SLI, 3D Vision, PhysX, Surround, DSR. The power consumption of this card is on the higher side as it consumes maximum of 365W power and needs minimum of 700W power supply for its working. GeForce GTX 690 is still a bit older dual GPU graphics card but it is newer than GTX 590. It is based on the Kepler GPU Architecture and comes with 4GB (2GB per GPU) GDDR5 VRAM. It is a DirectX 12 graphics card that comes with 3072 CUDA Cores. GTX 690 supports various GPU technologies that include Quad SLI, GPU Boost, PhysX, TXAA, NVIDIA G-SYNC, Multiple Monitors etc. 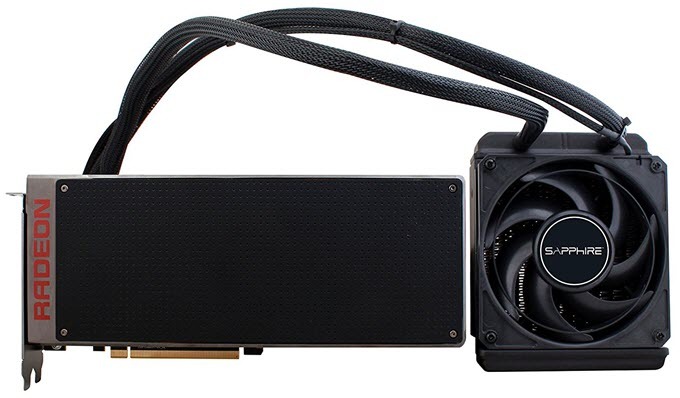 This dual GPU card requires two 8-pin PCI-E connectors and a 650 Watt PSU to work with. This card is certified for Windows 7 operating system but can also work with Windows 10 seamlessly. GeForce GTX TITAN Z is the newest dual-GPU Graphics Card from Nvidia. It really has got much higher specs as compared to GTX 590 and GTX 690. GTX TITAN Z comes with whopping 12GB GDDR5 memory and 5760 CUDA Cores. This DirectX12 dual GPU graphics card is built on the Kepler GPU architecture and is one of the fastest dual graphics cards at present. This is a really big card and has triple slot design which means it will use three slots space on your motherboard and PC case. This is a 4K ready graphics card which means you can play games on high or Ultra settings on 4K resolution. It supports various advanced technologies from Nvidia that includes SLI, GPU Boost 2.0, Nvidia GameStream, PhysX, Nvidia Surround and more. This card requires two 8-pin PCI-E power connector and minimum of 700W power supply for its working. 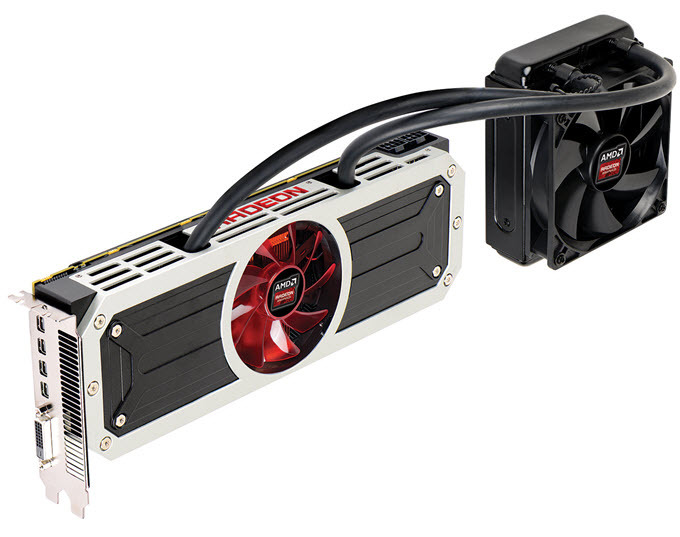 Here are the top dual GPU graphics cards from AMD. AMD Radeon HD 6990 is an older DirectX 11 graphics card having dual GPUs. It comes with 4GB GDDR5 memory and 3072 Stream Processors. This dual GPU graphics card can support up to 6 displays simultaneously. It supports various AMD technologies that include AMD Eyefinity Technology, AMD App Acceleration, AMD HD3D Technology, AMD PowerTune Technology. The graphics card officially supports Windows Vista, Windows 7 and Windows 8 but it can also run on Windows 10 without any issues. Radeon HD 7990 is newer product than HD 6990 but it is still an older DirectX 11.1 graphics card. The unique thing about this card is that unlike other dual graphics cards with only one fan, this one has three fans for better and efficient cooling. 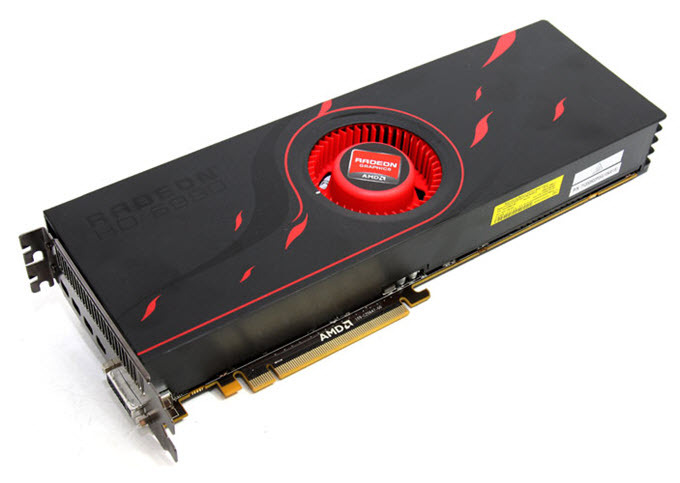 Radeon HD 7990 comes with 6GB GDDR5 memory and 4096 Stream Processors. The card is based on the AMD’s GCN (Graphics Core Next) GPU architecture. This is a Crossfire ready card which means you can use this card in multi GPU setup. Other features supported by it include AMD Eyefinity Technology, AMD App Acceleration, AMD HD3D Technology, AMD PowerTune Technology and AMD ZeroCore Power Technology. This is a very powerful dual GPU graphics card from AMD. Radeon R9 295X2 is basically two R9 290X GPUs put together on a single graphics card but with slightly higher frequencies. 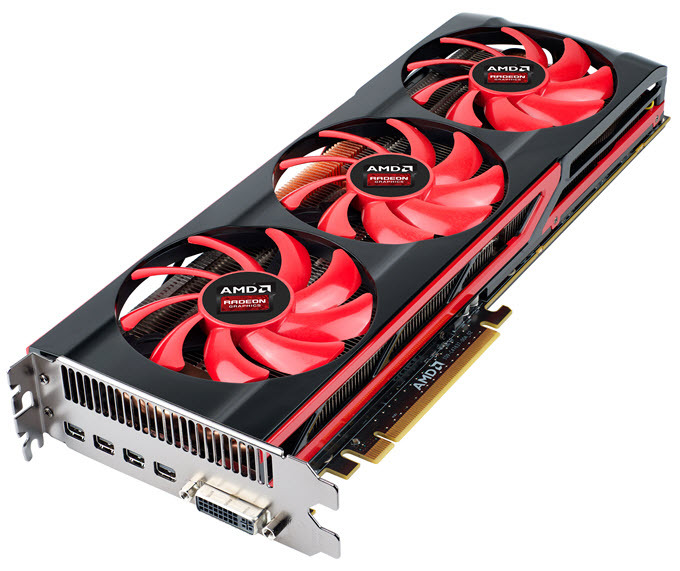 Radeon R9 295X2 comes with 5632 Stream Processors and 8GB GDDR5 memory. It is a high-end graphics card and you can play almost of the games at 4K display resolution and all the games at 1440p at Ultra Settings. This card comes with hybrid cooling solution which consists of water cooling unit for both GPUs and Heatsink Fan (HSF) cooling for Video Memory and VRMs. Radeon R9 295 X2 is based on the GCN 1.1 GPU architecture and can support up to 6 displays simultaneously. It supports Crossfire, LiquidVR technology, Frame Rate Target Control (FRTC), DirectX 12, Vulkan, Windows 10 OS, FreeSync and more. This dual GPU graphics card is very power hungry and has maximum power consumption of 500 Watt. It requires two 8-pin PCI Express power connector and a good 800W – 1000W power supply for its working. Radeon Pro Duo is the fastest dual GPU graphics card in the world as of now. It comes with two Radeon Fiji GPUs put together on a single PCB. This monster of a graphics card comes with 8192 Stream Processing Units and 8GB HBM or High Bandwidth Memory. This dual GPU graphics card is based on the 3rd generation GCN GPU architecture from AMD. Radeon Pro Duo is cooled by using a closed loop liquid cooling solution with a 120 mm radiator. In this cooling solution all the graphics card major components including GPU, Memory and VRM are cooled down by water cooling. This is 4K gaming card and you can play almost all the latest games at 4K (3840 x 2160 pixels) resolution at Ultra or high settings. It also offers very good performance in VR Gaming and other VR Applications. This is also a power hungry card and it needs three 8 pin PCI-E power connectors. The maximum power consumption or TDP of the card is 350W and it needs a good 700W or higher power supply for its working. The performance of Radeon Pro Duo is comparable to GTX 1080 flagship graphics card from Nvidia. Radeon Pro Duo (Polaris) is the world’s first dual-GPU workstation graphics card for professionals. 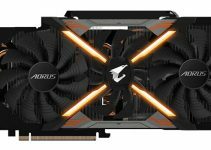 It shares the same name with above mentioned Radeon Pro Duo gaming graphics card but other than that it is a totally different card. 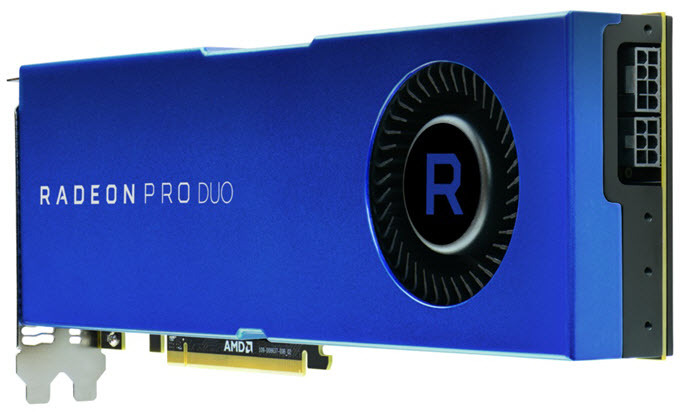 The new Radeon Pro Duo is a workstation graphics card intended for use in high-end graphics applications involving VR content creation, game development, scientific studies, movies special effects creation and running heavy-duty graphics softwares. The card is based on the latest Polaris GPU architecture from AMD and comes with 4608 Stream processors and 32GB GDDR5 video memory. Various features include CrossFire, AMD LiquidVR Technology, HDR Ready, GeometryBoost, Radeon VR Ready Creator, AMD Eyefinity Technology Support, Support for 4K, 5K and 8K Displays, 4K Accelerated Encode/Decode, 4th Generation Graphics Core Next (GCN) GPU Architecture. The card has power consumption under 250 Watts and requires one 8-pin and one 6-pin PCI Express power connectors from the PSU. Connectivity options include three DisplayPorts and one HDMI Port. 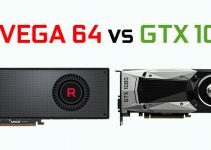 Well at the end I would like to say that here I have listed all the popular dual GPU graphics cards from both Nvidia and AMD. Dual GPU graphics cards may look good on paper but they are very expensive and sometimes they do not offer additional performance increase that can justify their price. If you have any queries or doubts regarding graphics cards then you can ask me by leaving a comment below.